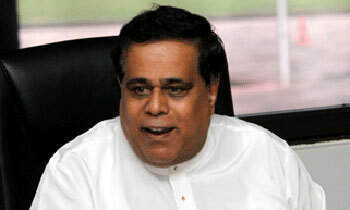 A move to obtain sufficient signatures to prove that Transport Minister Nimal Siripala de Silva commands the majority support in Parliament and eligible to be appointed as the Prime Minister, has been commenced yesterday noon. The UPFA proposed the setting up of a minority government with the support of the joint opposition, with Transport Minister de Silva being tipped as the Prime Minister, a senior party member stated. If these signatures can decide the premier whats the use of our votes? Whats the use of parliament election? Mr. Ranil Wickremesingha please wake up! He will be falling asleep like sleeping beauty ! An honourable man with the masses! Didn't know that the provincial elections were held to choose Prime Minister. Exactly. The best thing to do is letting UNP to rule rest of the years. Taking the country now will be like starting to clean the garbage damp of meetotamulla. Doiya Babek as Prime Minister. Come on Sri Lanka. It says 'a country gets a government it deserves'. This is what we deserve! A fools' island deserves a fools' government!